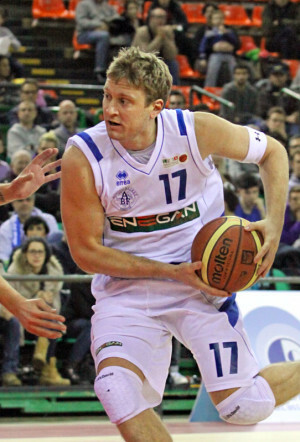 The second straight game against a team from Puglia was the mark of the first winning streak for Enegan Firenze. BNB (6-5) was a much tougher opponent than 1-10 Cus Bari, but Affrico came away from Corato (Bari) with a W.
As said in the preview, Firenze (4-7) played without team captain and starting center Marco Pazzi, and with limited contribution from Brandon Wood. To account for the injuries, coach Caja put Stefano Rabaglietti and Francesco Conti in the starting lineup. Affrico started strong and took an early lead thanks to Swanston and Castelli (5-14 after 5). With Rabaglietti’s last 5 points of the first quarter, Enegan maintained the 9-point lead (10-19) after 10 minutes. Enegan still lacks the ‘killer instinct’ and at the half Corato had climbed back to make it a one possession game: 35-37. 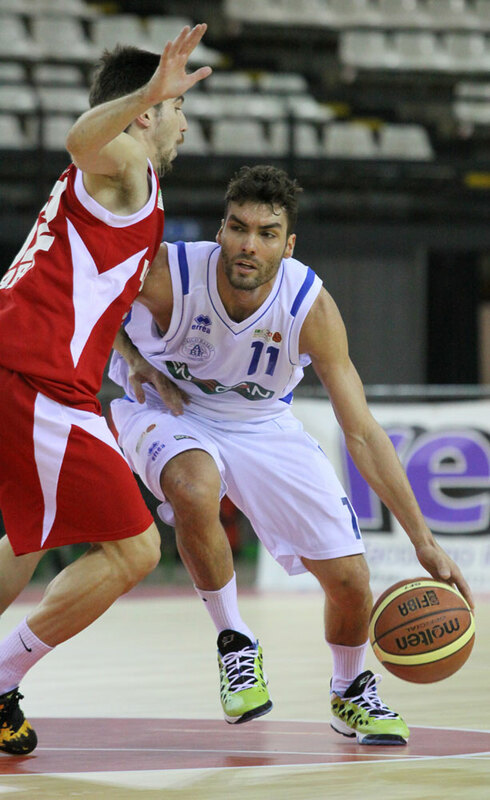 Conti and Castelli’s foul trouble forced Caja to play a lot of zone defense with youngster Luca Schiano coming from the bench and playing important minutes. In the third quarter BNB leveled the score at 37, but Enegan went on a 12-2 run over the next minutes lead by Simoncelli and Rabaglietti (devastating with his corner threes). Conti’s fourth foul forced Caja to go back playing zone defense which allowed some offensive rebounds and second chance opportunituies for BNB. Fortunately for Firenze, Rabaglietti was on fire and, with two more threes, he pushed Enegan’s lead back in double digits (47-57). In the fourth quarter another Corato run put the game back on edge, but Castelli scored 4 straight points to maintain the distances and the rest of the game went on with Enegan answering every BNB’s basket. Cold-blooded Conti and Simoncelli sunk their free throws and Wood reached double digit with the tap-in that sealed the game inside the last two minutes. With this win, Enegan Firenze takes a step forward reaching Recanati and Reggio Calabria with 4 wins, 4 games behind regular season’s leader Ferrara. TORREVENTO NORD BARESE: Merletto 9, Contento 12, Moore 14, Elliott 15, Amoroso 13; Ancellotti 4, Petrucci 6, De Angelis, Vitanostra DNP, Lobasso DNP. All: Cadeo. ENEGAN FIRENZE: Simoncelli 16, Rabaglietti 30, Swanston 4, Castelli 13, Conti 4; Wood 10, Cucco 5, Schiano 4, Severini DNP, Pazzi DNP. All. : Caja. OFFICIALS: Nicolini, Tallon e Mancini.